CDS Monarch is the newest member of the Canalway Trail Adopt-a-Trail program. In July, the Monroe County-based nonprofit organization adopted 1.5 miles of Erie Canalway Trail between East Henrietta Road and Genesee Valley Park in Rochester, joining more than a dozen other Adopt-a-Trail groups in helping to maintain and beautify sections of the trail in the area. CDS Monarch’s decision to become a Canalway Trail adopter fits the organization’s mission to provide job training skills to adults with developmental disabilities. Since 1978, CDS Monarch has assisted more than 1,700 adults through various training programs. 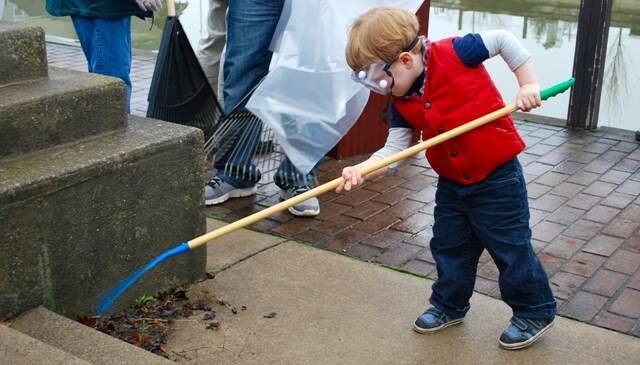 Adopt-a-Trail welcomes volunteers of all ages! The eight CDS volunteers who regularly visit their 1.5 miles of trail to remove debris and litter not only experience the satisfaction of keeping this community asset clean and welcoming, but they also learn important job training skills such as following a supervisor’s directions. In the spring, the group will also plant flowers along their adopted segment of the Erie Canalway Trail. The Erie Canalway Trail is a 360-mile multi-use trail extending between Buffalo and Albany. It is part of the larger 524-mile New York State Canalway Trail System. More than 50 groups have adopted segments trail segments throughout the system. Go to PTNY’s website to check out which sections of trail are available near you and learn more about how you can participate in the Canalway Trail Adopt-a-Trail program.